Back in May, Microsoft promised that a future version of its Surface Pro would include optional LTE capabilities, as previous Surfaces did. At its Future Decoded conference in London, Microsoft delivered, announcing Tuesday that its revamped Surface Pro with LTE would ship in December. It’s expected that the Cat 9 modem on the new Surface Pro with LTE will support 20 cellular bands across the globe, though no specific deals were announced with individual carriers. There will be two configurations, both based on the Core i5: one with 4GB of memory and 128GB of storage, for $1,149; and a second, with 8GB of memory and 256GB of storage, for $1,449. 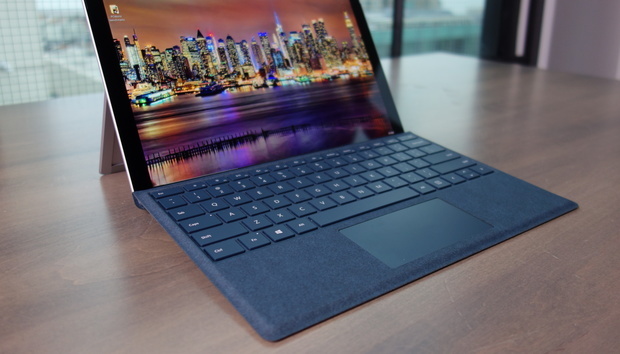 Those details confirm an earlier report, where U.K. shopping site Misco had prematurely posted details of the Surface Pro with LTE and revealed a December shipping date. That listing—quickly removed—showed shipping prices about $100 higher than what Microsoft is actually charging. Why this matters: It’s probably a smart idea that Microsoft decided to add the LTE upgrade to its Core i5 models, given how the Core i7 version of the Surface Pro finished in the middle of the pack in terms of battery life. Tacking LTE onto the power-hungry core i7 chip wouldn’t have helped Microsoft in the power department, as our Surface Pro review indicated.